Yesterday’s PuB NiGHT was at Tap & Barrel in Olympic Village. It was a great night. Thank you for coming! Tap & Barrel is an eatery with quite some beers on tap, which gives you the feeling of a pub. Besides that they also have wine and ciders on tap. Tap & Barrel has several locations; one in downtown, one in Olympic village and one in North Vancouver. All locations have great terraces, which are perfect now that the weather is finally good enough to sit outside. Once I arrived at Tap & Barrel, I immediately noticed the big line-up to get a spot in this nice place. Luckily, we got a reservation and we got placed at a long table upstairs. From there we got a nice view on downtown Vancouver. During the night, we catched up on what we all did in the weekend and during the week. It was great to hear about all the plans you made and about what you are still planning on doing. Unfortunately, it was Sebastians and Miriams last PuB NiGHT and therefore we talked a lot about their plans after this big adventure in Canada. This also meant that the flag showed up again. I hope you all had a great PuB NiGHT and see you tonight at the Vancouver Folk Music Festival! Yesterday’s PuB NiGHT was at Mahony and Sons at Olympic Village. It was great to see you all there. Thank you for joining us! Mahony and Sons is a pub with three locations: Canada Place, UBC and Olympic village. They use a lot of wood in the pubs itself, which gives you an Irish feeling. However, at both Canada Place and Olympic village you can choose to sit outside too. Both locations have amazing views from their patio and are therefore definitely worth checking out. On Wednesdays wines are on special, which means that all bottles are discounted by 50%, so it is a perfect location for the wine fans among us. We already went to Mahony and Sons at Canada Place before, so decided to go to Olympic village this time where we got a nice spot outside at the terrace. A lot of people were having their own bottles of wine, as we had to make good use of the wine special. As it was already the last PuB NiGHT for some of us, everybody took their books and soon a lot of people were writing. While everyone was writing, I had time to catch up with everyone about the long weekend and it was great hearing all these stories. Once it got dark, we all took our chance to make pictures of the great view of downtown. I hope you all had a great time, because I certainly did! See you all at Jericho beach or on next week’s PuB NiGHT! Last night was great! Thank you all for coming to the Tap & Barrel yesterday! We had an amazing night! Tap & Barrel is a combination of a restaurant and a pub. 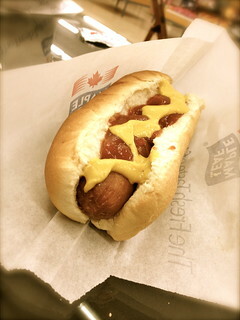 It has a few locations in Vancouver; we went to the one in the Olympic Village. From the pub you have an amazing view over the city at night. The Tap & Barrel also has a lot of different kinds of beer and wine on tap. The night started of with some food and drinks. After 8 everybody slowly began to join us at the table. All the people that are joining the Kelowna trip were already making plans for the weekend. 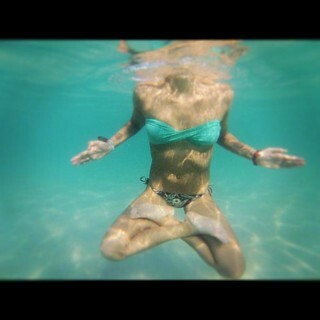 And hearing everybody being so enthusiastic about the trip made me really happy! I am also really looking forward to it! Some candidates of my old INTERNeX group are still here and a lot of new INTERNeX candidates arrived and it was nice to see all of you connecting and becoming one group! After a night of talking about the trip and a lot of other stuff some of us went to the Met to close off the night with some karaoke! I had an amazing time yesterday and I hope you all did too! We are looking forward to this weekend! See you tomorrow at the Greyhound bus station or at next weeks PuB NiGHT!! 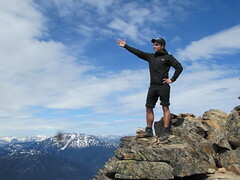 It’s time for the big INTERNeX trip this weekend – WHISTLER is fanially happening! We planned a lot of action and events for our Whistler weekend: we will hike in thrilling heights of the mountains and enjoy the beautiful views of the mountain lakes, do ziplining and even bunjee jumping. HI Whistler will be our home for this weekend where we will enjoy all the comfort of this former Olympic village accommodation. Drop by next weekend to read about our exciting time! 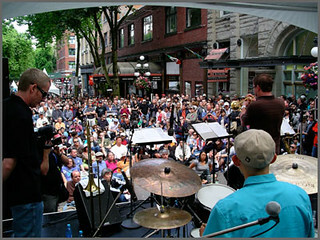 Don’t miss Vancouver’s biggest and greatest music festival of the year: the Vancouver International Jazz Festival 2012! It features 1800 musicians and 400 concerts at 40 venues across the city. Over a 100 of the events are free of charge! The festival takes place from June 22nd to July 1st. Check out the official website for all venues and free concerts: http://www.coastaljazz.ca. This festival is the biggest Highland Games in British Columbia and will take place on Saturday June 23, 2012. It features world pipe band champions, highland dancing, heavy events, British cars, whisky tasting, beer gardens, children’s events, main stage entertainment and much more. The opening ceremonies will take place at noon on Saturday. Check out more info at: http://www.bchighlandgames.com. 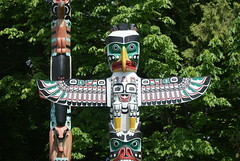 Check out the authentic Aboriginal Summer Village in Vancouver’s Stanley Park. Experience Native cultures through songs, dance, art and food! This weekend is the Village opening weekend, it will be accessible until September 16th. You will find more information at: http://www.aboriginalbc.com/klahowya-village. Pride Toronto is a cultural and arts festival and one of the largest Pride celebrations in the world. Thousands of individuals, community groups, and businesses celebrate the lives and stories of Toronto’s Queer Communities. The festival is part of the Pride Week that features 10 days of world class arts and cultural programming activities such as street festivals, Pride Parade, Dyke March, Family programming, Blackness Yes and Youth and much more. The events start on Friday June 22nd; the Pride Parade will be held on Sunday July 1st, 2012, starting at 2pm at Bloor & Church. For more locations and events see: http://www.pridetoronto.com.